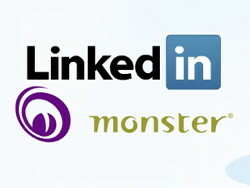 What Will Come After LinkedIn and Monster? In just the past five years, California has seen an explosion of internet job boards, internet job training sites, and internet job hunting blogs. The supersite job boards, Monster and CareerBuilder, have been joined by hundreds of smaller boards, as well as by the job aggregators, such as Indeed and SimplyHired. These boards also have been joined by the internet social network sites, LinkedIn most prominent, dedicated to job search and advancement. New internet job boards are being added each week. Where is the on-line job field heading in California? What are the next stages? Richard Nelson Bolles (What Color is Your Parachute?) and his son Mark Emery Bolles provide an inventory and thoughtful critique of current online job search in their recent Guide to Job-Hunting Online. This book is a good starting point for considering the future of online job search in California and elsewhere. The Bolleses begin with the job sites with greatest traffic at present, the supersites Monster and CareerBuilder, which the authors describe in their current form as “mostly a waste of time”. These supersites convince employers to pay for job listings based on their breadth and traffic. However, jobs from throughout the country are likely to be of limited value to a worker seeing a job in a certain city or region. Because of the size of these sites, they are filled with companies that do not have real jobs but are seeking to sell services to job hundreds or gather personal information for other purposes. Further, because of the ease of submitting a resume online, employers on these sites particularly are deluged with applicants. More valuable than the supersites are the aggregators, Indeed and SimplyHired, which collect job listings from the websites of individual companies. Also more valuable are the job boards which focus on geographic areas, and job boards that focus on sectors, such as Dice, on technology jobs, and Absolutely Health Care, on health care jobs. The main theme of the Bolleses book, though, is that all job boards have limited value. A job board at best can be one part of a job search approach. Of greater importance is the use of other non-internet job search techniques: self-assessment and identification of skills and interests, use of networks, identification of companies of interest to the job seeker. Indeed, in my experiences over the past eight years as a volunteer with job seekers, I have found that job boards are worth starting with, but are of limited value. As the Bolleses note, the job boards make the job search technique easier in that the job seeker can submit a resume with a push of button. However, submitting a resume means little since employers are getting hundreds of these resumes in most cases. In only a small number of instances do job seekers even get a call back from job board listings, and in quite a few instances the job board listings are misleading, particularly with companies searching for workers entirely on commission. Networks remain the better job search method. In the online world, LinkedIn understands the network concept better than anyone, and now dominates the field of networking sites. LinkedIn’s founder, Mr. Reid Hoffman, has a discussion of networking in his book, The Start-Up of You, that is the best discussion of job networking I’ve seen. Mr. Hoffman notes that networks need to be cultivated throughout a work life, not only in times of job search, and they need to be actively nurtured and expanded, in a state of “permanent beta”. The once dominant job boards, like Monster and CareerBuilder, already are seeing their dominance rapidly eroded, and unless they adapt in new ways, will be overtaken by their hundreds of newer and specialized competitors. Even LinkedIn with its current job networking dominance, soon will be challenged by new networking sites that may focus on occupations or sectors, and/or offer new forms of early identification of job openings. A main change in the online job world, though, I suspect will be a return to a past practice: one-to-one job counseling, with an individual job counselor. This counseling may be provided as a stand-alone service online or as a part of an online job site. The photos accompanying this posting are of California’s employment system of the twentieth century—the State Free Employment Bureau in downtown Los Angeles in the 1920s, an EDD office in rural California of the 1930s, and an urban office of the 1940s. Each of these settings provided individual job counseling to job seekers. For all of the advantages of the online job search services today in terms of rapid access to job openings, for many job seekers there will continue to be no substitute for the one-to-one assistance and advice. An online board cannot provide the encouragement, direction, and evaluation that one-to-one counseling can provide, and that often is needed. A Job Club, online or in person, can help, but it too is not a full substitute, especially for workers with most serious barriers or long term unemployment. The public workforce system in California has moved away from one-to-one counseling in the past twenty years, as budgets have shrunk. Developing a private sector online model that incorporates one-to-one counseling with other job search services will be among the next evolutions of online employment services.